Course Description: This high school geometry course moves students from the basic principles of geometry through more advanced topics such as fractals. 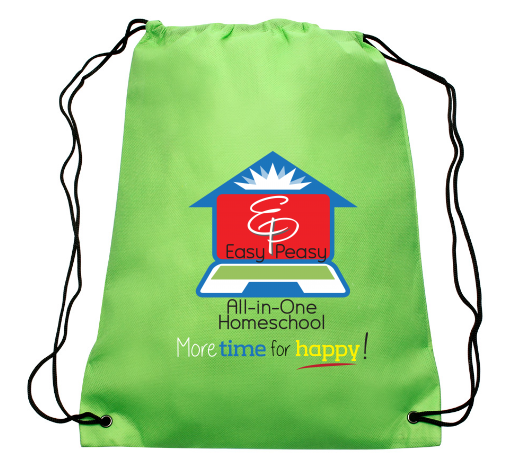 Students learn through textbooks, videos, practice, investigations, and online interactives. SAT prep is including with daily algebra and geometry SAT questions. Students will also use an online graphing calculator and complete exams including a midterm and a final. Topics covered in this course include: points, lines, planes, angles, proving theorems with deductive and inductive reasoning, parallel and perpendicular lines and planes, angle relationships, the equations of lines and slopes, types of triangles, properties of segments and angles, properties of congruent triangles, polygons, quadrilaterals, parallelograms, rhombi, rectangles, squares, kites, trapezoids, ratios and proportions, similarity, dilations, Pythagorean Theorem and its converse, the Law of Sines, the Law of Cosines, properties of circles and their tangent lines, arcs, inscribed angles and chords; equations and graphs of circles, perimeter and area of triangles, quadrilaterals, polygons, and circles; surface area and volume of prisms, cylinders, pyramids, cones, and spheres; symmetry, and transformations. If you are having problems with the textbook loading, first try reloading the page. If that doesn’t work, try a different browser. When you score your answers to the review questions, always count up and record how many you got right. Don’t subtract the number wrong off the total given. Every problem is worth one point unless otherwise stated. You may grant partial credit for a multi-part problem. What is geometry? Read the intro on the first page and then click on A and B. On each page do the interactive activity. Complete part C, folding paper. Follow the directions. Go through questions C1 and C2. You don’t have to do the other sections, just this first page. Here’s an intro to the first topic, points, lines and planes. Remember that when we say something is 2D or 3D, the D stands for dimensional. A 2D object has two dimensions: height and width. A 3D object has three dimensions: height, width and depth. Read, do the review queue questions, check your answers at the bottom of the page, go through the examples and solutions carefully. Stop when you get to “Beyond the Basics.” 1.1 Geometry – Points, Lines, and Planes. Scroll down to the review questions and do the first 5. Complete this page on definitions and proof. Read, do C1, and then watch the video. Do the review questions after the first 5. Check your Geometry 1.1 answers. Read and watch about line segments. Scroll down and begin reading with “The Ruler Postulate.” Segments and Distance 1.2 Read through carefully. Do “Review Questions” 5 – 25. Pay attention to what numbers I tell you to do, so you don’t end up doing too many. Sometimes I’ll say do the even or odd numbered problems. Read the directions carefully each day. Check your Geometry 1.2 answers. Use the link and use the interactive protractor to measure the angle. Scroll down to the end of the lesson in order to check your answers. Record your score as a 5 minus 1 point for each incorrect answer. Read through to the end and do the review questions. Check your Geometry 1.3 answers. Use the links on the page to see the line bisection and the angle bisection. Check your review queue answers by scrolling to the bottom. Go through this quick review on finding midpoints. Scroll down, down, down and do these review questions: 1-18, evens 20 – 36. If you want to try them, you can get a point of extra credit for any challenge question you get right. 1.4 Midpoints and Bisectors. Check your Geometry 1.4 answers. Record your score out of 27. Check your answers. As always record your score as a 5 minus 1 point for each incorrect answer. Check your Geometry 1.5 answers. Do the review queue and read the lesson. Work through the examples. Stop after you have looked through the classifying shapes chart. Scroll down, down, down and do the review questions. The last one is optional, for extra credit. Check your Geometry 1.6 answers. Complete the questions as a test. Do not look up answers. Check your answers, Geometry 1.7. Go back through your review questions for sections 1.1 – 1.6. Try problems you had trouble with. Make sure you understand. Open this online graphing calculator. When you are working, don’t click on the “graphing calculator” button. It will take you back to the home screen. Use the equations button to enter an equation that will draw a horizontal segment. Type the equation on the line. Use the greater than/less than spots under the equation to limit the line to a segment. Draw a perpendicular bisector to your segment. Draw a bisector to your segment. Here’s my example. Click to enlarge. Watch the video, inductive reasoning. *Print this worksheet to complete as you watch the video. Review inductive reasoning by going through the examples. You can skip the queue questions today. Do the odd numbered questions in the review questions section. Check your answers, Geometry 2.1. Read through and try the examples before you read the solutions. Do the first 9 review questions. Check your answers, Geometry 2.2. Read through the rest of the chapter and try the examples before you read the solutions. Do the review questions starting at number 10. Learn some math logic with yay math! Watch the video, deductive reasoning. *Print this worksheet to complete as you watch the video. As always record your score as a 5 minus 1 point for each incorrect answer. Start reading through the page. Figure out your answer to the tiger/lady dilemma. Scroll down to right above the review questions and take a look at the answer to the two doors dilemma. Do review questions 1-20 and 29-34. Check your answers, Geometry 2.3. Do some simple word problems solving segment length. Now solve correctly these using the segment addition postulate. AC is a line segment with point B existing somewhere between points A and C. If the measure of AB is 164, and the measure of BC is 176, then what is the measure of AC? AC is a line segment with point B existing somewhere between points A and C. If the measure of AC is 23, and the measure of AB is 22, then what is the measure of BC? Try to figure out the “Know What” section. Watch this video on the properties. Complete this exercise. You aren’t being graded on this. There a few you don’t know yet. Try to figure out the answer. *Print the worksheet and complete it while you watch the video on proofs. Start at “Using Properties of Equality with Equations.” It’s right after the charts of equality properties. Go through the proofs carefully. Then do review questions 1-8. Check your answers, Geometry 2.4. You are just going to score this as 8 points. You get the point if you followed the directions. Finish the review questions , numbers 9 – 33. *Complete the worksheet as you watch the video on angle proofs. Try one or more of these proof exercises. You could click on the first one on complementary angles. Click on one of the statements and it will add it to your proof. Play a little pool. Use angles to make shots. I’ll link to this tomorrow too. Try the examples before reading the solutions. Play a little pool. Use angles to make shots. Do the review exercises numbers 6 – 35. Do the questions as a test. Do not look up answers. Check your answers, Geometry 2.6 Test. Read the lesson and try the constructions. Do the review questions numbers 1-17 and 26-35. Check your answers, Geometry 3.1. Add 4 points for completing constructions. Watch the video on parallel lines. *Take notes on the worksheet as you watch. Remember to keep a list of the theorems and postulates. Do the odd numbered review questions. Check your answers. As always score as a 5 minus 1 point for each incorrect answer. Do review questions 9 – 22. Check your answers, Geometry 3.3. Record your scores out of 19. Check your answers, Geometry 3.4. Record your scores out of 10. Read the lesson. Work through the examples. Check your answers, Geometry 3.5. Watch the video and complete the exercise on the distance formula. As always score as a 5 minus 1 point for each incorrect answer. Do the first two review questions. Check your answers, Geometry 3.6. Record a total for today out of 5. Do the even review questions, 8 through 30. You can try number 31 for 2 points extra credit if you like. Review parallel lines and transversals. When you are ready, do the question as a test, meaning no looking back at the book or in your notes. Check your answers, Chapter 3 Review. Add in two perpendicular lines. Review your work so far. Do each set until you get two right in a row. If you need review, go back to chapter 1. Do the exercise on classifying polygons. Review your work so far. Do each set until you get two right in a row. If you need review, go back to chapter 3. Read through the lesson, working through the examples. Do review questions 1 – 10 and 19-23. Check your answers, Geometry 4.1. Portfolio/records: In your portfolio you should include a couple of your assignments from this quarter. 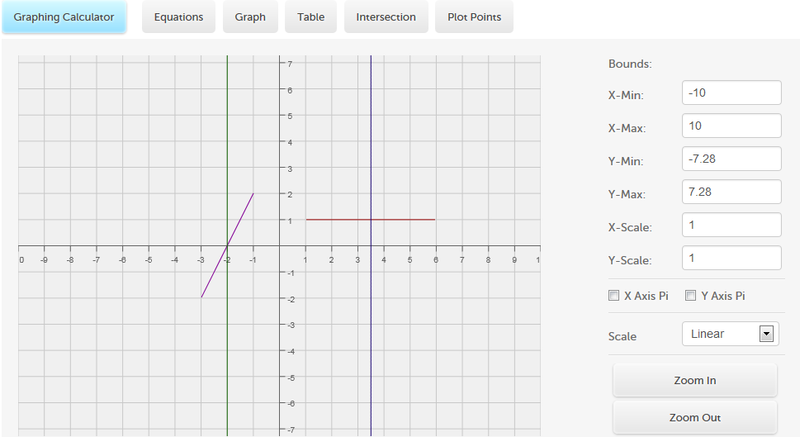 You could also take a screen shot of the graphing calculator or other online activity. Choose things that are neat and well kept. (*) Print out your second quarter grading sheet or use the Excel version. Do review questions 11 – 18 and 24 – 30. Read the lesson and work through the examples. Do the odd review questions through 27. Check your answers, Geometry 4.2 . Read the lesson and work through the examples. Make sure you are writing down postulates so you have them accessible when you write proofs. Make sure you draw the constructions. Stop at the SSS postulate section. Do the review questions numbers 3-9. Can you guess number 7? You’ll learn that on Day 50. Check your answers, Geometry 4.3. Read the lesson and work through the examples. Start at the SSS postulate section. Do the review questions numbers 10 – 30. 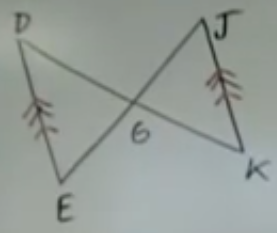 Watch the video on triangle congruence. Do queue questions number 2 and 3. Read the lesson and through the examples. Make sure you are writing down postulates and theorems, so you have them accessible when you write proofs. Do the even review questions numbers from 14-32. The directions have the numbers a bit off, but the actual problems are numbered correctly, so don’t worry about it. Check your answers, Geometry 4.4 . Watch the video on the isosceles triangle. Watch the video on the isosceles triangle proof. Check your answers. (ANSWER CORRECTION: #3 of review queue: x=11) As always record your score as a 5 minus 1 point for each incorrect answer. Read the lesson and work through the examples. Make sure you are writing down postulates and theorems, so you have them accessible when you write proofs. Check your answers, Geometry 4.5 . Do the review questions numbers from 4-31. Watch the video on cpctc. Watch the video on proofs. Record your score out of 24 (2 points each for the two steps in the directions). Test continued: Prove that segment DE is congruent to segment JK given that DK bisects JE and that DE and JK are parallel. Check your proof. There were 10 components to fill in. Check here after you finish. Do not cheat! It is a form of lying. Each day you are going to choose three problems. This should not take more than five minutes, including reviewing the answers. Do the review queue questions numbers 2-5. Draw your answer to the “know what” question. Read through the lesson and work through the problems as you need to. You can use the link in the text to explore midsegments. Answer review questions: ODDS 3 – 15. Check your answers, Geometry 5.1 . You are going to start with SAT prep. Each day you are going to three problems. This should not take more than five minutes, including reviewing the answers. Do the review queue questions. Read through the lesson and work through the problems. 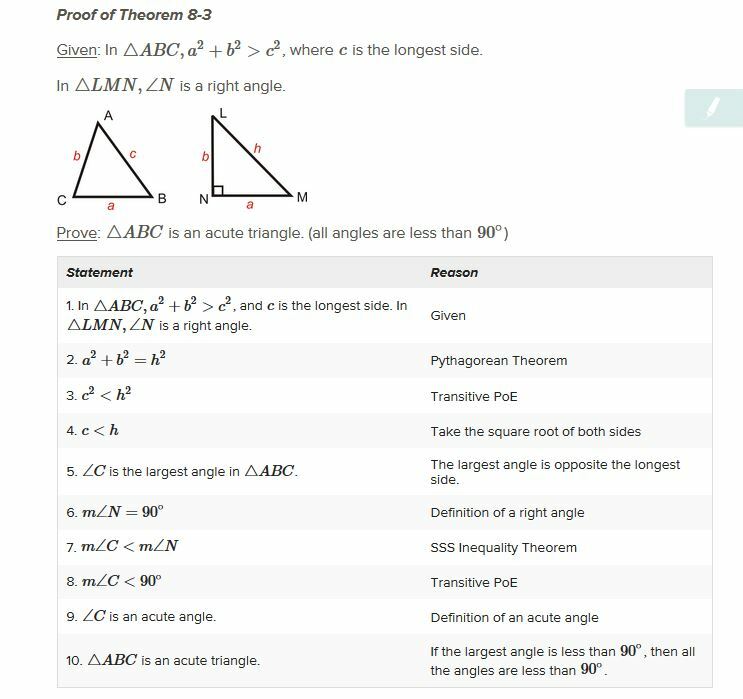 Make sure you are writing down theorems so you have them as a reference for proofs. Follow the directions to make the constructions. Do three problems for SAT practice. Check your answers, Geometry 5.2. Do the review queue 1-3a. Read through the lesson and work through the problems. Do numbers 1 and 2 in the review questions. Check your answers,Geometry 5.3 , and make sure you understand. Do numbers 10 through 29 in the review questions. Check your answers, Geometry 5.3. Read through the lesson and work through the problems. Stop at Altitudes. Do number 3 in the review questions. Check your answers, Geometry 5.4 . Read through the lesson and work through the problems beginning at Altitudes. Do numbers 1, 5 and 7 in the review questions. Do numbers 12 through 3o in the review questions. Check your answers, Geometry 5.4. Read through the lesson and work through the problems. Make sure you are taking notes. Do numbers 1 and 4 in the review questions. Check your answers, Geometry 5.5 . Do numbers 10 through 3o in the review questions. Check your answers, Geometry 5.5. Do three problems for SAT practice. Make sure you are paying attention to the right answers. You are supposed to learn from your mistakes! Read through the steps and example of an indirect proof. Try to solve the indirect proof yourself. Fill in each step, starting with the given, before revealing what’s next. Do number 2 in the review questions. Check your answers,Geometry 5.6 . Do numbers 3-10 in the review questions. Check your answers, Geometry 5.6. Each is worth two points. You can get partial credit for partially correct answers. Review for your test. If you can’t remember something, you can use the reading or video links along the top of the page. There’s a test on Day 73. Check your answers, Geometry 5.7. Test continued: Do problems 19-22. Check your answers (found under Section 5.1). Score up to 3 points for each problem. Test continued: Complete the proof. Check your proof. There were 22 components to fill in. Do number 2 in the review queue. Read through the lesson and work through the problems. Follow the directions. STOP at Exterior Angles. Do number 1 in the review questions. Check your answers, Geometry 6.1. Read through the lesson and work through the problems. Follow the directions. START at Exterior Angles. Do ODD numbers 3 through 29 in the review questions. Get up to 6 points for doing number 31. 1 point just for trying–all bonus points. Watch the video on parallelograms and take notes on the *worksheet as you watch. Do numbers 1 – 3a in the review queue. Read through the lesson and take notes. Do numbers 1, 3, 5, 23, 27 in the review questions. Check your answers, Geometry 6.2. #27 is worth 5 points. Do numbers 1 and 2 in the review queue. Do numbers 1 through 4 in the review questions. Check your answers, Geometry 6.3 . Do numbers 18 through 31 in the review questions (Questions 29 and 30 refer to 28). Check your answers, Geometry 6.3. The three proofs are 5 points each. Watch the video on rombi and complete the *worksheet as you watch. Read through the lesson and take notes, as usual, on the theorems. Take your time reading the chart. Make sure you know what each of those things me. Check your answers, Geometry 6.4. Do numbers 10 through 27 in the review questions. Read through the lesson. Work through the problems. Stop at Kites and skip down to algebra review and work through that section. Do numbers 1 and 9 in the review questions. Check your answers, Geometry 6.5. Read through the lesson sections on Kites. Work through the problems. Do numbers 14, 17, 22 through 28 in the review questions. The three proofs are 5 points each. Review the vocabulary and complete the 6.6. Chapter 6 Review. In the chart, consider the last category to be congruent diagonals instead of consecutive angles. Check your answers, Geometry 6.6. Using the graphing calculator, enter equations that will draw a parallelogram, a trapezoid and a kite. On Day 87 there will be a midterm, a test on what you have learned the first half pf the course. I suggest taking the time to look through your notes and work to refresh your memory. The test is going to be in the form of the exercises you just did plus one proof from your last chapter. Close all notebooks and other windows etc. on your computer. Take note of your score. Write out your proof, number twenty-seven. Check your answers. This is worth up to five points. They are all extra points. Add them onto your midterm total. Read through the lesson. Work through the examples. Stop at Properties of Proportions. Do numbers 2, 4 and 6 in the review questions. Read through the lesson section on Properties of Proportions. Do numbers 7 through 31 ODDS in the review questions. Check your answers, Geometry 7.1. Watch the video on similarity and take notes on the *worksheet as you watch. (*)Print out the grading sheet for the third quarter or use the Excel version. Try three SAT math problems. Read through the lesson. Work through the examples as needed. Do numbers 1-8, 14-18, and 26-29 in the review questions. Check your answers, Geometry 7.2. Read through the lesson. Work through the examples and take notes. Do numbers 1-11 in the review questions. Check your answers, Geometry 7.3.
Review similarity in polygons and in triangles. Do numbers 16-18, 24-31 in the review questions and 19-21 from the polygons chapter. Read through the lesson. Take notes as always on the theorems. Follow the directions. Do the constructions and work through the examples. You can play pool when you are done. Do numbers 1-4, 8-12, 18-27 in the review questions. Check your answers, Geometry 7.4. Read through the lesson. Take notes as always on the theorems. Follow the directions. Do the investigation and work through the examples. STOP at parallel lines and transversals. Do the practices on triangle similarity: one, two, three. Finish the lesson. START at parallel lines and transversals. Do numbers 1-10 in the review questions. Check your answers, Geometry 7.5. Do numbers 19 – 30 in the review questions. Remind yourself about transformations. Drive to the transformation room and play the game. Read through the first section of the lesson on dilations. Stop at the coordinate plane part. Do numbers 7-10 in the review questions. Explain to someone the answer to 12. Check your answers, Geometry 7.6. Finish the lesson. START at the coordinate plane part. Do numbers 1-6, 15-21, 28-30 in the review questions. Complete the lesson on fractals. Check your answers, Geometry 7.7. Check your answers, Geometry 7.8. You can play with fractals too. Do the review queue numbers 1, 2, 4. Check your answers. (ANSWER CORRECTION: #4A is 6 square root of 10) As always record your score as a 5 minus 1 point for each incorrect answer. Read the lesson. Do the investigation online instead of cutting out paper. Do numbers 4 – 6 in the review questions. Check your answers, Geometry 8.1. Do numbers 7 – 23 ODDS and then 27 – 32 in the review questions. Add two points for getting number 25 right and one point for giving it a good try. Be diligent and give it your best try. Read the lesson. Take notes. Work through the examples. After you read the proof, try to write it out for yourself. Do numbers 1-31 ODDS and then 22 in the review questions. Check your answers, Geometry 8.2. Make sure you correct your proof if necessary. Read the lesson. Take notes. Work through the examples. Read about the uses of the Pythagorean Theorem. Do numbers 6-30 EVENS and then 21. Watch the video on triangles 30-60-90. Watch the video on triangles 45-45-90. Read the lesson. Do the investigation. Check your answers, Geometry 8.4. Read the lesson. STOP at the first example. Read the lesson. START at the first example. Use the scientific calculator when instructed to. Do numbers 1-6, 19-30. Use the calculator when instructed to. Check your answers, Geometry 8.5. Read the lesson. Do the examples. Use the scientific calculator when instructed to. Do numbers 1-3 in the review questions. Check your answers, Geometry 8.6. Do numbers 7-9, 10-22 EVENS, and 23-32 in the review questions. Use the calculator as needed. Do numbers 6-15 in the review questions. Use the calculator as needed. Check your answers, Geometry 8.7. Watch the video on basic trigonometry functions. Do the exercise. And another practice. Review chapter 8 for a test. Make sure you review the proofs. Do the questions as a test (no notes). 8.8. Chapter 8 Review Use the calculator as needed. Watch the video on circles. Do numbers 1-9, 10-26 EVEN, and 27-33 in the review questions. Check your answers, Geometry 9.1. Read the lesson. Remember to always read equations as sentences. What does this sentence say? 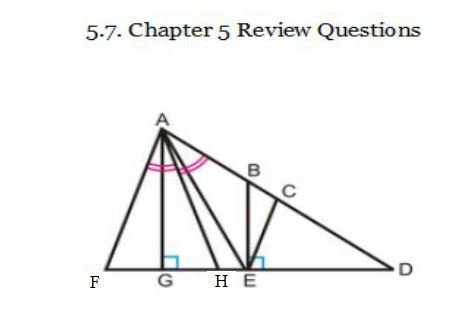 (answer: Arc AD is congruent to arc BC.) Work through the examples. Do numbers 10-15 and 22-36 in the review questions. Check your answers, Geometry 9.2. Read the lesson. Work through the examples and do the investigations. Check your answers, Geometry 9.3. Do numbers 1-6 in the review questions. Check your answers, Geometry 9.4. Check your answers, Geometry 9.4. Make sure you understand the proofs. Read the lesson. Take notes. Work through the examples and do the investigations. Check your answers, Geometry 9.5. Check your answers, Geometry 9.5. Make sure you understand the proofs. Check your answers, Geometry 9.6. Do numbers 16 – 30 in the review questions. Check your answers, Geometry 9.6. Make sure you understand the proofs. Read the lesson. Take notes. Work through the examples. You can use the graphing calculator if you like. Do numbers 1-4 in the review questions. Check your answers, Geometry 9.7. Do numbers 5-16 in the review questions. Check your answers, Geometry 9.7. Make sure you understand the proofs. Study the chapter for a test. Check your answers, Geometry 9.8.
Review for a test on chapters 7, 8 and 9. Make sure to review the proofs from the review questions you’ve done. Portfolio/records: In your portfolio you should include a couple of your assignments from this quarter. You could also keep a page of notes from one of the videos with a note about what it is. Choose things that are neat and well kept. (*)Print out the grading sheet for the fourth quarter or use the Excel version. Watch the video on area. Do numbers 1-27 ODDS in the review questions. You can get one extra credit point for each right answer for problems 28-35. Check your answers, Geometry 10.1. Do numbers 1 – 21 ODDS in the review questions. Do numbers 9 – 29 ODDS in the review questions. Check your answers, Geometry 10.3. Read the lesson. Work through the investigation. Check your answers, Geometry 10.4. Do numbers 16-30 in the review questions. Do numbers 1-31 ODDS in the review questions. Check your answers, Geometry 10.5. Do numbers 1-8 in the review questions. Check your answers, Geometry 10.6. Do numbers 13-24 in the review questions. Check your answers, Geometry 10.7. Today’s a good day to look back over your math notebook for a review. On Day 180 there will be a final covering the whole course. You’re approaching the end! Do numbers 1-14 in the review questions. Check your answers, Geometry 11.1. Read about cross sections and nets. Spend some time on the interactives on these pages. Do numbers 15-25 in the review questions. For extra credit: One point for each correct answer from 25 through 34. Go through the lesson. Don’t use the link in the material. Here are animations of the nets for cylinders and rectangular prisms, if you need help picturing the pieces. Do numbers 1-2 in the review questions. Check your answers, Geometry 11.2. Do numbers 3-6, 11-17, 23-29 in the review questions. If you want extra credit: Up to two points for a correct answer to 30, the expression and the surface area. Go through the first part of the lesson on pyramids. Do numbers 1-6, 9-15 ODD, 21-22 in the review questions. Check your answers, Geometry 11.3. Read the second half of the lesson on cones. Do numbers 14, 17, 19, 23-30 in the review questions. Do the review queue #2-4. Go through the first part of the lesson on prisms. Stop at cylinders. Do numbers 2-3, 5, 7-9, 11-12, 16-17, 23-25 in the review questions. Check your answers, Geometry 11.4. Read the second half of the lesson on cylinders. Go through the first part of the lesson on pyramids. Stop at cones. Do numbers 1-2, 5-6, 13-23 in the review questions. Check your answers, Geometry 11.5. Do numbers 7, 9-12, 24-30 in the review questions. Go through the the lesson. Don’t use the animations. Check your answers, Geometry 11.6. Do numbers 2-26 EVENS in the review questions. Extra credit: one point for getting number 29 correct. Do the review queue, numbers 1-5. Go through the the lesson. Work through the examples. Check your answers, Geometry 11.7. Do numbers 2-24 EVENS and 26-32 in the review questions. Check your answers, Geometry 11.8. Today’s a good day to look back over your math notebook for a review. On Day 180 there will be a final covering the whole course. Answer the questions about symmetry. You can use the page if you need help. Go through the the lesson. Do numbers 1-22, 29-37 in the review questions. Check your answers, Geometry 12.1. Read the first part of the lesson about translations in the chapter for today. Do some simple translations. Type in how many units to move x and y and then click on translate. Finish reading the chapter, starting with vectors. Do numbers 13-32 in the review questions. Check your answers, Geometry 12.2. Reflect the house around the grid. Read the lesson about reflections. Check your answers, Geometry 12.3. Do numbers 11-30 in the review questions. Check your answers, Geometry 12.3. #30 is worth 5 points. Read the lesson about rotations. Do the investigation. Check your answers, Geometry 12.4. Do numbers 2-22 EVENS and 24-31 in the review questions. Check your answers, Geometry 12.5. Do numbers 8-28 EVENS in the review questions. Extra credit: One point each for correct answers to 29 and 30. Check your answers, Geometry 12.6.
Review how rotations and reflections are created and how they move around a coordinate plane. Check your answers, Geometry 12.7.
Review chapters 10 and 11. Record your score out of 20. Add one point to your score. On Day 180 you will be taking your final exam, a test on everything you learned this year in geometry. There will be proofs from chapter nine that you did in the review questions, but you will be allowed to use the chapter to help you, but not your notes! Review Chapter 12, answers, Geometry 12.7. Give yourself 4 points for completion. Total your score out of 100. Time for a report card and portfolio/records updating. You will be finding out your total score this time by adding and dividing your totals from the four quarters. If you decide to, you could make up to half of your grade be for participation, completing the daily assignments. That would be 50 (for participation) plus half of your regular grade for your total grade for the year.